Found a website bug? Let us know. 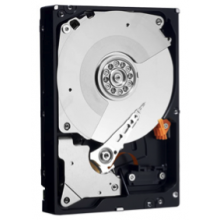 Shop our selection of new and refurbished SAS hard drives and get the quality performance you need. Connect multiple hot pluggable devices with an SAS hard drive to create the networking environment suitable for high performance computing. Choose a hard drive from trusted brands like Dell and Fujitsu that our certified technicians have tested for quality and reliability. Additionally, ServerMonkey offers a 30 day warranty on all SAS hard drives.